Andrea Burkhardt is the inventor of Staby as well as of the io-Ball. When developing those fitness equipments and their training-concepts, her big experience in health-sport has big influence, therefore those equipments are so effective. She is a consultant at the famous Kneipp-school in Bad Wörishofen / Germany, qualified trainer for fitness, step and back-school, as well as aqua training. Andrea Burkhardt owns the certificate for MT-therapy. She is Group-Fitness Instructor and Personal Trainer for 15 years. Andrea owns the fitness- and health-center Vitalmed in Bad Wörishofen / Germany. 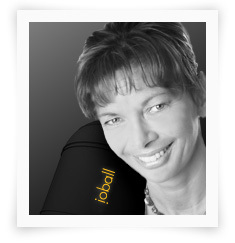 Johanna Fellner is io-Ball Trainer and leads presentations with lots of energy. As a former art gymnast she uses her big knowledge for the very demanding methods of the io-Training. 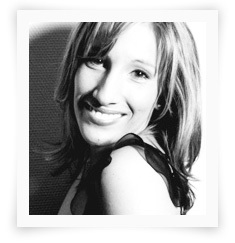 She is consultant in the fitness- and aerobic area with a very good social-pedagogic training. Johanna Fellner is working as an international Yoga-teacher, and well known due to several DVDs and print-publications. As trainer of our io-Ball at rs-quality training she conducts io-Ball Foundation, as well as Cardio-Core courses. Johanna Fellner also works as group-fitness-instructor and as personal-coach and trainer for competitive athletes. Janni's 22 years of experience in competitive sport has a big influence on his training-philosophy, which he himself lives and lectures for more then 15 years in the area of fitness. His training methods are concentrated specially towards a sport-specific fitness training. The io-Ball is his newest "Tool" to optimally show his goals and how he converts them. Janni Giannikakis is one of the most well known international presenters and trainers – specially focused on io-Ball and Staby. As Personal-training consultant of the famous BodyArt School he proves once more his impressive competences. His extreme impulsive lead events make sure that the knowledge transported will not be forgotten. Mike Habdank is io-Ball trainer of the first hour. His success as Staby-instructor is well known. 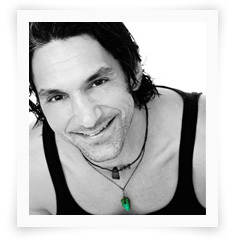 As a perfect motivator and fitness expert he conveys the newest trainings methods in a playful way. Mike Habdank is a trained physiotherapist and is still working in this area with all his heart. His excellent education includes manual training-therapy as well as special knowledge like e.g. lymphatic drainage and edema therapy. This specialized knowledge, in combination with his many years as international presenter and trainer, makes him a unique expert. 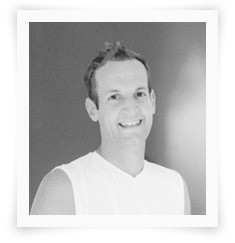 He is the leading specialist for movement programmes and therefore is predestined for his work with the io-Ball. 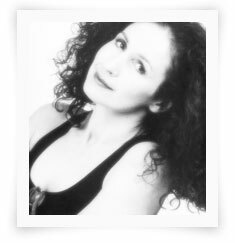 Daniela is a highly specialized group-fitness-instructor for Pilates and Body&Mind courses. Her constant searching for perfection brought her to the io-Ball, who has everything she appreciates: precision, effectiveness and harmony. This fundamental conviction is the basis for her very successful international activity as trainer. With her natural way, the fundamental background knowledge and her love to move, she teaches a knowledge, which is overall and for each participant personally understandable. Convince yourself of the special ability of Daniela Pignata live in her courses. Additionally you can experience her on the new io-Ball DVD. 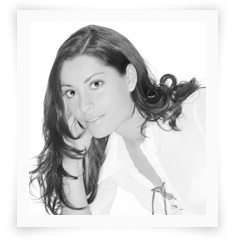 Silvia Deckenhoff is our expert for consultation and training at clubs. Her unique specialized knowledge in the area of health- and fitness sports is the result of experimenting and manifold trainings. Being our specialist for aqua-aerobic and water-gymnastic she is competent developer for those special programmes. Since 1994 she is fitness- and aerobic professional. As experienced Staby-trainer she has everything she needs to train the newest fitness trend in the best way. At the Schwäbisch Turnerbund (STB) and the Bavarian Regional Sport Association (BLSV) she is most welcome as a consultant, since she always manages to put a spell on them. Therefore the combination of Silvia and the io-Ball is unbeatable.